So you want to become a locksmith? There are a lot of options available with manual locks and many more new electrical locking systems out there. With these available at retail, for ever increasing security conscious consumer, it also means there is a greater selection and variety of work for your average locksmith. Demand for locksmiths can only increase as more and more people take up greater security measures, as the general populous consensus on risk is heightened. With this in mind, locksmiths who specialise in electronic systems may see a greater demand as moves towards a technology proficient society sees a clamour for installation of electronic security systems. One method for training to become a locksmith is to undertake a short locksmith training course available across the country and many different training venues, these courses will generally offer those new to locksmithing a broad understanding of the principles and ethics of jobs and systems your average locksmith may come across. 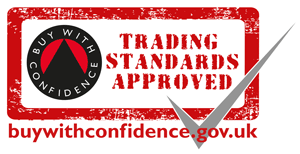 Currently the UK’s locksmith industry is unregulated by any governing body, unfortunately this means locksmith training courses that are offered are also unregulated with no such courses being accredited by City and Guilds or NVQ or similar bodies. A good idea before venturing on to a training course is to talk to a locksmith, or people who have previously taken the course. These individuals will be able to refer you to good training courses and give you additional information in regards to areas of work and business tips from personal experience. Among the requirements would be skill, concentration and creativity as well as a lot of patience. It is advisable to get as wider platform of knowledge as possible to ensure as few surprises as possible when called out on a job. More often than not you will be called out, to irate and potentially embarrassed customers, therefore discretion and integrity will be of high importance. What can you expect to earn as a fully qualified electrician?